Should your iPhone, iPod, or iPad magically end up with a USB symbol pointing to an iTunes logo (as shown in the image), then you are in what is called in technical terms as “Recovery Mode”. This will allow the device to be restored to it’s factory settings or load up a custom firmware image. While this is a normal function of the device, it’s not good if you didn’t put the device into recovery mode, and it just appeared without warning. Something else is wrong with the device (which might be either software or hardware related). 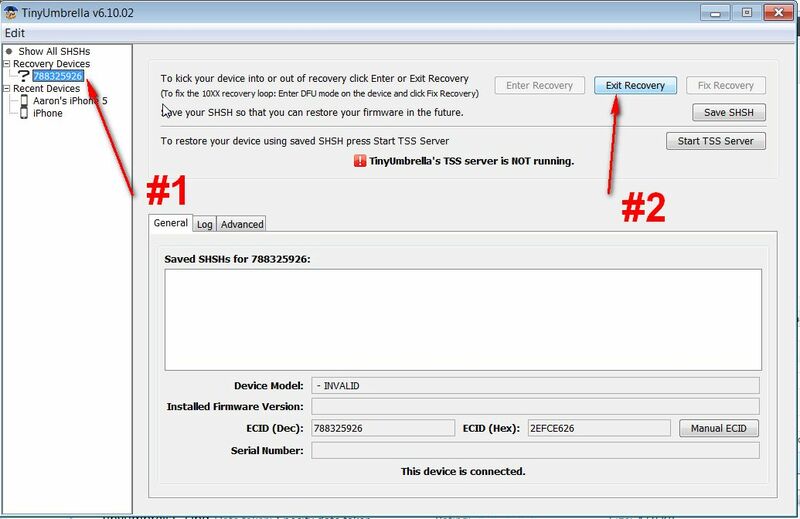 You can try this method to exit recovery mode and get access to your device again. Hold down the home button and the on / off power button for 15 seconds. This will switch the device off. Then you can press on/off to start the device again, which should start by showing the Apple logo while it boots up. In some cases this won’t work, and you’ll need to try the next solution. Which is to download and use some software called TinyUmbrella. This is a great piece of software which is free to use, with lots of features, but don’t let that put you off. It’s very easy to use for this purpose. Follow along with these screen shots to help you kick your device out of recovery mode. 1. Download the software from the Tiny Umbrella website. Download link is on the right side of the webppage. 3. 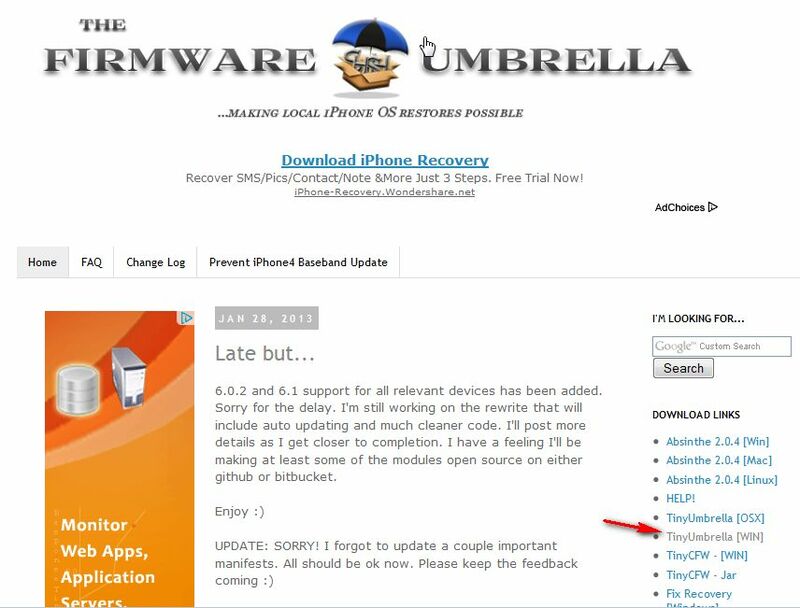 Once Tiny Umbrella is running, then you will see your device listed in the recovery section on the left side of the software. #1 Click on that first to select it, and then #2 click on the “Exit Recovery” button. The device should reboot and be back to normal. If you still can’t get the device out of recovery mode, then your only option is to connect to iTunes and go through a restore to factory settings. If you do this all information on the device will be erased. After that you can then restore a previous backup to get your device back to the last backup point (hopefully you’ve been backing up – but that topic is a whole other story for another post). 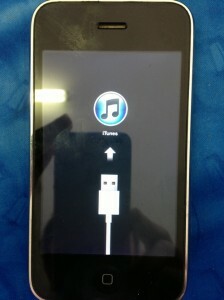 This entry was posted in How To's, iPad, iPhone, iPod and tagged iPad, iPhone, iPod, recovery mode. Bookmark the permalink.